The startup ecosystem of Vietnam is poised to becoming the next Silicon Valley, according to experts. Tech startups are booming in the region and foreign direct investments are flooding in. In fact, Japan’s SoftBank Group Inc. estimates that there are currently 1,800 active startups in Vietnam. It has more startups than China, Indonesia, and India. Today, we’ll dig deeper into Vietnam’s business scene. What makes Vietnam a great hub for startups? What are the challenges entrepreneurs usually face in the country? And what are the Vietnamese startups that are set to conquer the business world? 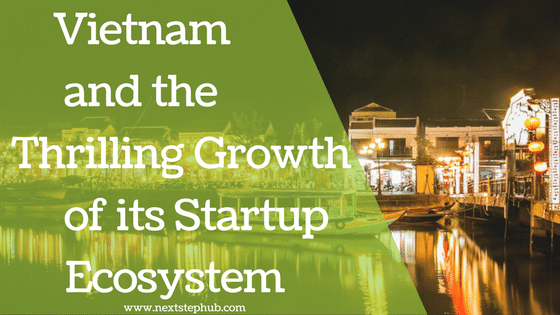 Vietnam’s government is more dedicated to building a sustainable startup ecosystem. in 2013, Ministry of Science and Technology created ‘Vietnam Silicon Valley’. This project is designed to provide knowledge, skills, and networks to startups. In addition, Ho Chi Minh City is planning to launch a startup support fund worth $45 million. Its goal is to help thousands of projects sustain until the product trial phase. Vietnam’s already big market is showing a rapid growth. The country has a population of 92 million and has the 34th largest market size. The country has a growing middle class, too. The people are embracing technology as well. Half of the population are on the internet and more than a third of it are using smartphones. The e-commerce industry group in Vietnam said that the first stages of the internet are finally complete. Because of this, the technological infrastructure of the region is stronger. Everything in Vietnam is affordable. Food, rent, and even labor. The region fits bootstrappers. Here you can have a great talent with low operating costs. Another great thing about Vietnam is its fantastic geographic features. The country has breathtaking natural landscapes such as Ha Lon Bay and Nha Trang Beach. It has beautifully designed coworking spaces, too. In Hanoi alone, there are more than 5 excellent coworking spaces. One of them is Dreamplex, where Barack Obama spoke with young entrepreneurs when he visited the city. Vietnam’s median age is 30.7. The energy is high, and young people are hardworking and resilient. The country also has strong Mathematics and Science Education. In 2015 PISA rankings, Vietnam ranked 8th in Science and 22nd in Mathematics. It outperformed USA, Australia, and the UK. Local universities are producing qualified graduates in computer science and other technical areas. Like other developing countries, there are challenges that startups face in Vietnam. Since the startup scene in Vietnam is still in its infancy, the resources are limited. Most startups have to bootstrap in the beginning because it can be hard to convince Vietnamese investors to take the risk. There’s a lack of VCs and startup programs as well in the region. On the bright side, there’s a growing number of angel and seed funding in the country. However, since they’re new, the process usually lacks structure. This slows down the fundraising process. Non-Vietnamese speakers can find it hard to communicate with locals. This is challenging for foreigners looking to invest and start their business in the country. It is best to get a local partner that can help you along the way. In addition, the Southerners and Northerners have cultural differences as well. Southerners, or those who live in Ho Chi Minh City, are more open-minded and pro-business. People who are from the North or Hanoi believe that political connections are vital before starting a business. Despite the serious challenges, there are companies that managed to flourish. Here are the startups that the world should watch for. DesignBold develops and provides a simple cloud-based graphic design tool. They aim to help everyone in the world to tell their stories in a time-saving and hassle-free way. Hung Dinh founded the company in September 2015 and launched it in October 2016. Two weeks after its launch, DesignBold created a buzz and brought in over $130,000 in sales. Due to its mindblowing success, the company bagged the ‘Best Vietnam Startup of the Year Award’ in December 2016. Got It is a US-based startup founded by Vietnamese Hung Tran. Got It is a web tool that makes gifting easy. It lets you select a gift from a wide range of famous brands, then they’ll deliver it for you. Got It doesn’t operate in Vietnam, but Hung Tran is actively supporting programs for young Vietnamese startups. WeFit is a monthly subscription company that gives users access to multiple gyms to enjoy the classes they want. WeFit’s founder, Khoi Nguyen, build the company to give more options for gym beginners. The startup has around 500 paid members and 150 studio partners in Hanoi. 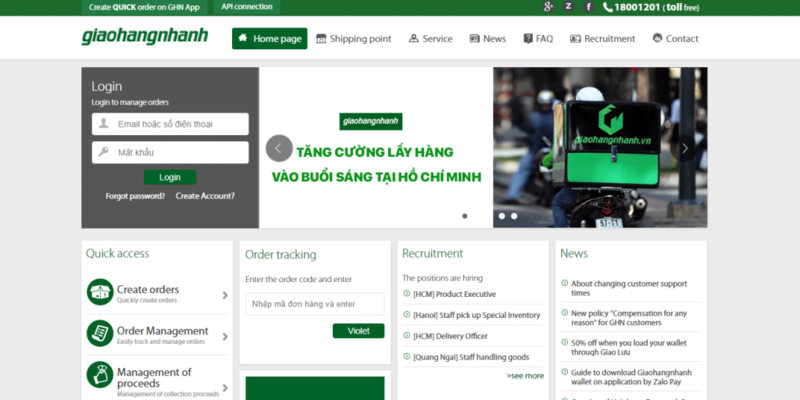 Founded by Luong Duy Hoai, Giaohanghanh is the most-used logistics services in Vietnam. The company specifically targets online shopping sites and provides comprehensive delivery solutions. The logistics industry in Vietnam is still underdeveloped, but the company is expected to grow and improve. It currently offers services in 63 provinces around Vietnam. The startup scene in Vietnam has a thrilling combination of opportunities and challenges. With resilience, great ideas and proper strategy, anyone can surely succeed in Vietnam.